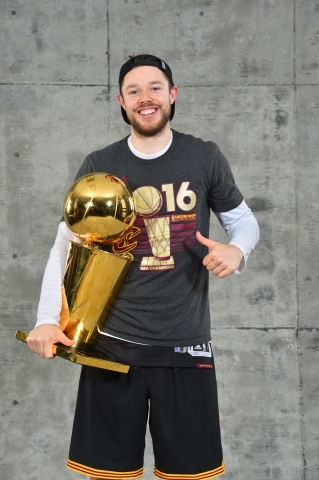 Matthew Dellavedova was born on September 8, 1990 in Maryborough, Victoria, Australia. Growing up, Matthew played his junior basketball for the Maryborough Blazers and Bendigo Braves. After playing State basketball for Victoria Country, he attended the Australian Institute of Sport for three years. In 2009, Matthew captained the U/19 Australian team at their World Championships in NZ, which finished 4th. Soon after he debuted for the Senior National team. 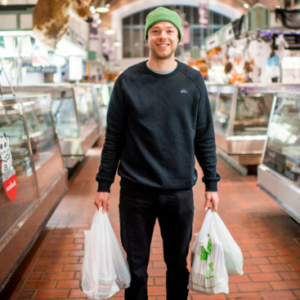 The team toured Brazil, Argentina, China and New Zealand before he headed off to College in the U.S.
Matthew attended Saint Mary’s College in Moraga, California and played four seasons of College Basketball. The Gaels made the NCAA tournament three times and in his freshman year the Gaels made it through to the Sweet 16. Matthew graduated with a degree in Psychology. In 2014, had the huge honour of having his number 4 singlet retired. “He doesn’t leave anything up for grabs, he makes sure he dots every i and crosses every t. He’s about as close as any guy I think I’ve ever coached that gets everything out of what he has” – Randy Bennett, Head Coach, Saint Mary’s College of California. 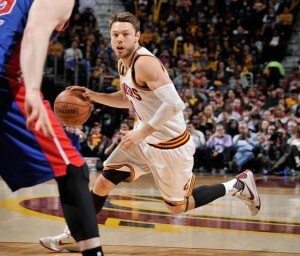 After going undrafted in 2013, Matthew joined the Cleveland Cavaliers for the NBA Summer League. A strong showing in the Summer League and then at the Cavs training camp earned him a place on their roster. Matthew continued his success in the NBA ending the 2015/2016 season as an NBA Champion with the Cleveland Cavaliers before being traded to the Milwaukee Bucks. 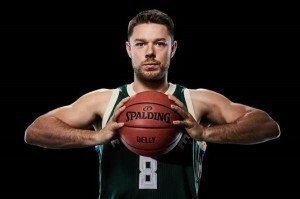 Dellavedova was acquired by the Milwaukee Bucks in 2016 where he played for two-plus seasons before a mid-season trade took him back to the Cleveland Cavaliers at the end of 2018. He is a member of the Australian National Team, representing the Boomers in 2009 and 2011 – 2014. This included the 2012 London Olympics and most recently he was a key member of the team at the World Cup in Spain and member of the 2016 Rio Olympic basketball tea.